Do you know how easy it is to have your property perfectly clean? This can be done within seconds only by calling us and organising your booking! 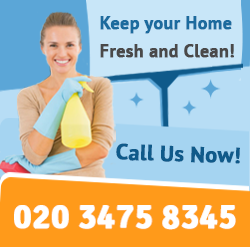 Prompt Cleaners is the best cleaning company in whole London! We are known for the outstanding standard of our services which can be arranged in a way so you won’t have to postpone or cancel any of your plans. You won’t have to worry about any chores or any domestic tasks, because everything will be handled by us! A thorough cleaning service will be performed by our professional team of cleaners. They will come with all the equipment needed and do the job quick and efficient. Also, this service is perfect if you are expecting guests, planning a party or you have been on a vacation for a long time. The final result is guaranteed by our policy- we will re-clean your property if you are not satisfied. 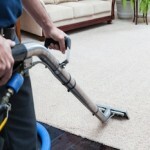 The methods used to accomplish the perfect carpet cleaning are reliable and proven over the years of experience. After the inspection of our carpet cleaning specialist, the most suitable technique and detergent is chosen and applied. We will do everything in our power to match up with your expectations. Deep cleaning is a procedure, popular among people to whom cleanliness and sanitizing is very important. It takes between four and six hours, so be patient with us. We understand the value of your time. You can even include and share your specific requirements with our cleaners. They will make sure that everything is checked and completed. Perhaps your property needs to be visited by our friendly employees more often. The regular cleaning that we are offering is perfect for you. We will take care of all your house work whenever you need it to be done, weekends included. Home renovation is something that should bring you nice beautiful environment. However just after the builders complete their work, your place is dusty and messy. 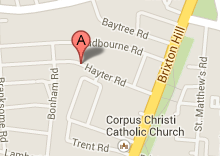 This is the time when you will need some help to put your property in order. Our after the builders service is exactly for this situation. According to a popular saying “You will never get a second chance to make a good first impression”. In other words you should maintain the excellent condition of your house at any time. Maintaining a clean and tidy office has an enormous positive impact on the productivity and respectfully the good mood on your employees so make sure the office area is neat and dust-free. Washing of our clothes is something we do regularly. Everywhere we can see well invented adds about washing materials that may do wonders and wash to perfection. So we are ready to buy all kinds of detergents just to keep our clothes well maintained, fresh and clean. Do you love home made food. Would you prefer to cook your own food and enjoy its delicious taste afterwards. But you are terrified from what will be the mess in the end. You imagine all the dirty dishes, the mess arround, but above all the smeared oven. Cleaning your fridge has always been a hard task to do, as the main purpose for using it is when you feel the hunger in your stomach. No one thinks about the dirty fridge when opening the door in the search of the favorite food. 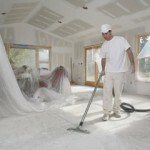 If cleaning tends to be a horrible habit for you we assure you that for the majority of people it works in the same way. A cleaning activity of almost every kind is capable of taking away all the physical powers than one possesses. 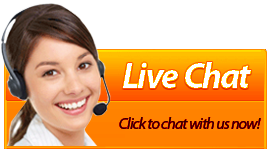 Prompt Cleaners is a reputable first-rate cleaning company headquartered in London, UK. We take care of homes and offices in a number of ways by delivering a great deal of cleaning solutions. Can you imagine a beautiful and well maintained garden, with neatly organised flower-beds and perfectly trimmed hedges and trees. Yes, this is not a part of some fairy tail, this can come true by our professional Gardening services. We from the Prompt Cleaners can turn your garden into the magical spot from the fairy tails only by ringing us.